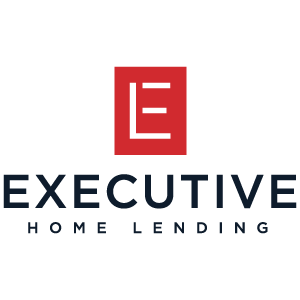 If you have any questions or would like more information about mortgages please Contact Us. If you are interested in buying or selling a home or property please also visit our Buyers Page or Sellers Page. For the majority of homeowners, the purchase of their own represents their biggest investment and their largest loan. Selecting, qualifying, and obtaining the right type of mortgage is one of the most important parts of purchasing your home. The purpose of this guide is to educate you on mortgage terminology, provide calculators so you can get a rough estimate on how much mortgage you can safely afford, and to allow to to pre-qualify for a mortgage so you can start shopping for a home. Understanding Credit We all know that good credit is necessary to qualify but do you know your score and how can you improve your credit? Interest Rates and Terminology Rates will vary depending on the day, your credit, and the type of loan you want. Tax Considerations Purchasing a home and financing it can have a positive effect on your tax liability. What You Can Afford Don't let your eyes get too big for your wallet. Knowing your price ceiling before you start looking can save you from disappointment and financial trouble. Pre-qualifying & Pre-approval Once you determine what you can afford, you need to see how much the banks are willing to lend to you. Locking in a Mortgage Rate If the rate looks favorable but you haven't found the perfect house yet, you can ask to have your rate locked. What does that mean? Appraisals & Market Value So you know what you can afford and how much the bank is willing to loan out. Once you pick out a potential home, it is time to determine its value. Private Mortgage Insurance (PMI) If you are first time home buyer without a significant down payment, chances are you will need to buy PMI. Bankruptcy and Foreclosure Nobody wants to be in foreclosure or bankruptcy but it is important to knwo the facts and consequences.